Garry Davoren is a serious Bike enthusiast with a well established bike shop in Galway. 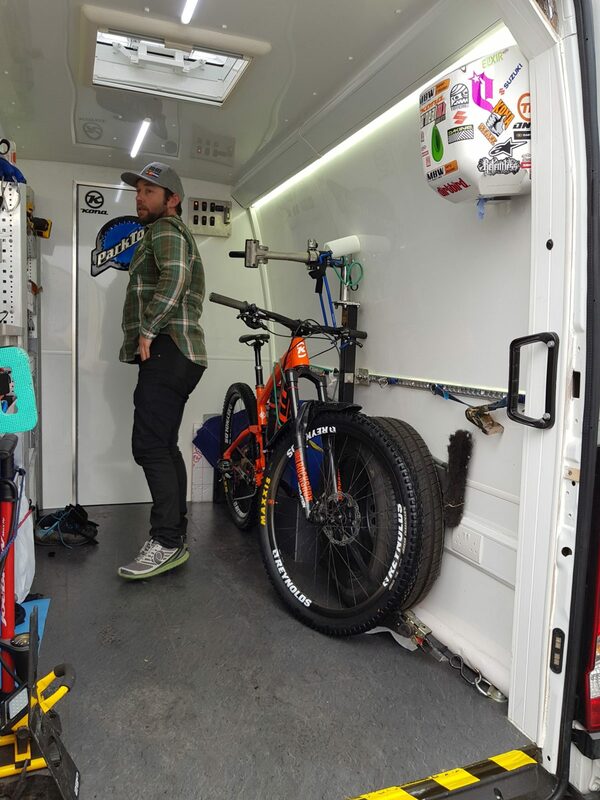 As part of his service he provides a mobile repair service with a customised van and trailer complete with onboard workshop. And, as Garry explains if you’re working on site and on the road as part of your work then you want to make sure the living and working environment is as high quality as possible. That was his starting point in customising his van. 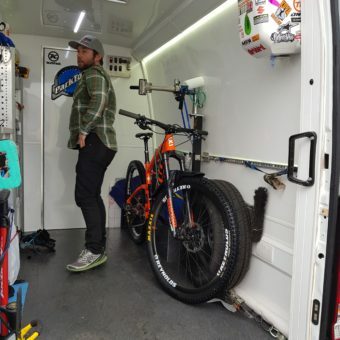 For Garry, it’s not just a van, but a fully insulated workshop-come-living quarters that maximises space and provides the ideal environment for expensive tools, pieces of bike gear and other equipment. Given it is his livelihood and hobby combined, you can see why he wanted to spend time to get it just right. And that means everything from maximising space to ensuring the interior is dry. The thought of any sort of build up of condensation was a non-starter. 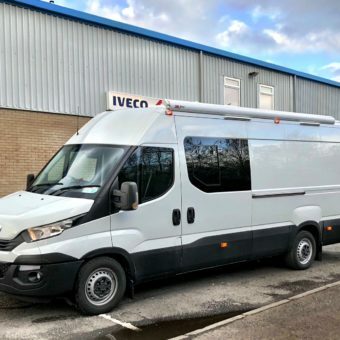 The key is customising the van was to find the thinnest insulation material possible that was also light and could fit the contours of the van to maintain a steady temperature and not use up excessive space. Bikes are more than a hobby for Garry, he has a number of interests. And, as he puts it to make a living out of your hobby you have to do a few things to get the bills paid. He’s on the road, he has his bike shop MBW in Galway. It’s fun but it’s also a serious business. “There’s a lot of guys now living in vans, van life is huge. Van conversion globally is greater than it ever was. People are selling up apartments and living in vans no mortgage, working remotely. Content creators are going that way.